Thursday March 19: doors at 7, showtime 8:30; tickets are $25 in advance via ticketfly or $40 at the door. 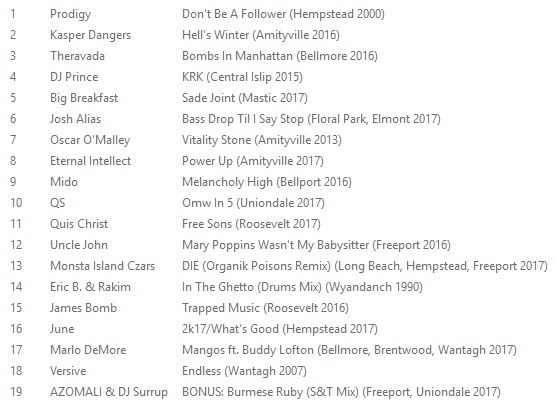 Also on the bill are Long Island Rap Blog postees Reek Da Villian and Peter Leo, as well as Stumik, Major League Bop, Joolz Balla, Dufflebag Gal, Mr. Dopeflow, Jazzy Yowa, Tony Slippaz and Skriptkeeper. 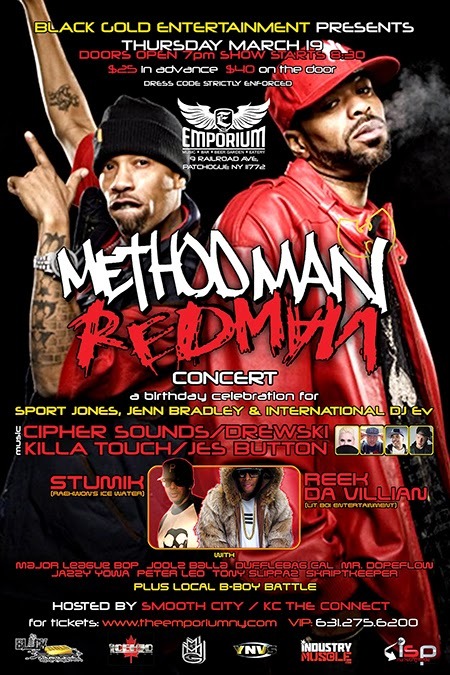 This show will be something of a homecoming for Meth, who spent parts of his youth in Hempstead and Freeport. Dress codes will be strictly enforced. The question is will tical codes be? And if so ... how high?